Another grand congratulations to the Class of 2017! Such an incredibly exciting accomplishment, but definitely also scary at the same time because I’m sure you all have great alternative options. In some ways, it doesn’t even seem fair that at age 18, you have to decide where you want to be receiving a diploma at age 22. How do you know where you’ll fit into the mold best – or where you can create an improved mold of yourself? The honest and worst answer is that you don’t. You don’t know, we don’t know, your parents don’t know. And all you want is someone to just tell you what to do because this way, when the going gets rough, at least you can blame someone else, right?! I love having options, but they can also be a source of stress. One of my favorite ways to leverage this stress into fun is by sampling. I like to try a little bit of everything, and only after this do I step back to make an informed decision. For all of you who are still on a verge of deciding where to attend college, find comfort in the fact that you still have some time and even more resources to help you. I hope this blog can provide a unique insight to student life here at Harvard! 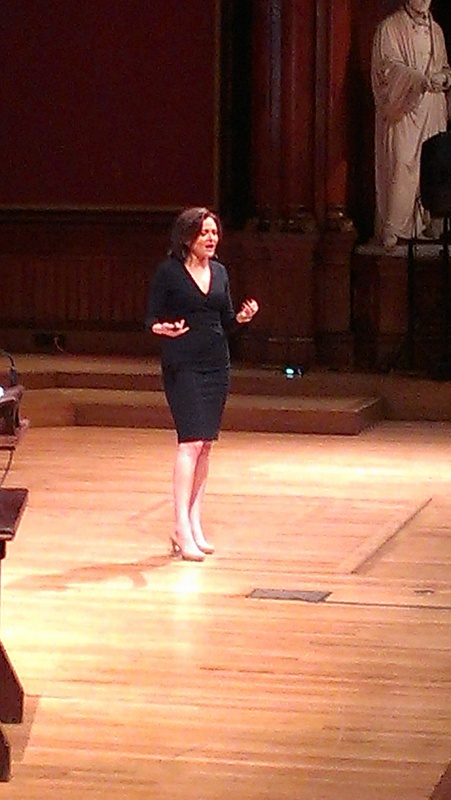 Caroline blogged about Sheryl Sandberg speaking at Harvard as a stop on her book tour. I heard about this event about a month beforehand because of some of my friends in the student organization sponsoring her talk, Women in Business (WIB). I reserved tickets about a month in advance and was excited for the event all day! I’ve only watched her talks online so it was surreal to be sitting in the live audience, especially when College President Drew Faust was right there along with me! 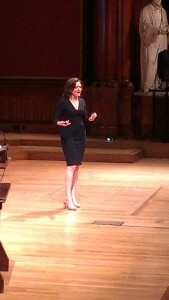 It’s even more surreal that Sheryl Sandberg was a member of the audience at one point too during her undergraduate years. To share, or at least be able to relate to, a part of her history is really inspiring and a great reminder that Harvard generously provides both the academic and financial resources that can catapult us down phenomenal career paths! Sheryl Sandberg always makes really good points about putting yourself out there to be in a position to fearlessly lead that I think both men and women would benefit from following. Sheryl Sandberg kicked off a great weekend because the very next day was Relay for Life, an all night walkathon hosted by the American Cancer Society. Last spring, I was involved in Relay as the incoming Vice President of Philanthropy on the Panhellenic Council, but since I was in the midst of transitioning in last year, everything ran smoother this year and I was much more involved. Our “Go Greek” team actually became the #1 team, fundraising the most money for the event – a little friendly competition doesn’t hurt! The walkathon was a culmination of tons of planning as we had fundraising events such as bake sales, water pong tournaments, restaurant fundraisers, etc. leading up to the walkathon. It was great seeing all the sororities and fraternities taking time from their rigorous academic schedule during midterms to rally and honor cancer survivors as well as support cancer research. The day after Relay for Life, I went on a field trip to the Boston Aquarium with my students in a volunteering program I direct through PBHA (Phillips Brooks House Association), called BRYE (Boston Refugee Youth Enrichment). It was my first time at the aquarium and I’m pretty sure I was more excited than my group of teenagers! It’s pretty rare for most Harvard students to get off campus to explore Boston which can be nice because it makes Boston more of a novelty, but it can also be a sad thing because we’re missing out on all the great things Boston has to offer i.e. 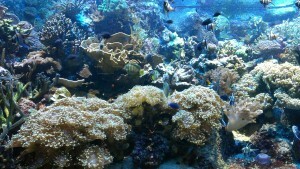 the aquarium, Quincy market (as Rob mentioned), etc. 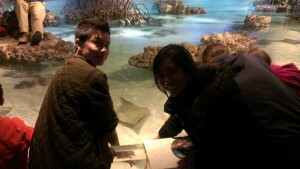 My friend, a senior at Yale, was visiting this weekend for Harvard Law School admit/orientation weekend and was able to go to the aquarium as well. It was really interesting to hear my friend’s perspective of Harvard and Boston in general. Being so use to New Haven, my friend was delightfully surprised we could walk around Cambridge at night without getting mugged, beyond pleased by our morning run by the river since New Haven’s nature isn’t really existent, and also impressed with how close Boston is since most Yale kids have to take a train to New York City for any kind of real urban experience. Don’t take this as me hating on Yale, but rather a Yalie hating. Yale and Harvard represent at the Pet a Stingray exhibit!!!!!!! Best. exhibit. ever. It’s mid-April, which is essentially the worst time of the academic year. It’s that time when school is pretty much over, but you have all your work left. Spring Break is long and gone and students are getting slammed with midterms up until finals. If the weather was nicer, I could probably try to put a positive spin on that somewhere, but I’m a weather-spoiled California kid and this rainy-windy combo is just not cutting it. I was also planning on running the Boston Marathon this Monday (as a bandit), but I have a genetics midterm this Marathon Monday and the latest I can reschedule is 7 pm. LAME. Harvard is also basically the only school that holds classes on Marathon Monday, which makes no sense because it takes out all the fun-community-building that stems from the Boston Marathon, an event people fly in to Boston to compete in from all over the world! We shouldn’t hold classes as a simple sign of respect!! Yet, there is a light at the end of this (loooong and dark) tunnel – it’s called Mid-May. Classes are officially over in about 2 weeks, starting Reading Period, a week where students have unorganized time to study for our final exams. When school ends, I’ll still be denying that I’m 3/4 done with college. This denial will continue abroad since I’ll be abroad for most of the summer again 🙂 This was literally the best news to me because after spending summer 2012 in Europe, Peru, and Bolivia, I’m officially obsessed with collecting passport stamps. I’m honored to be accepted into the Global Health Institute’s iSURF (international summer undergraduate research fellowship) program which is sponsoring me to pursue clinical research in the context of women and nutrition in Tanzania. I’ll be spending about 10 weeks there and then heading over to South America/Bolivia again. More updates to come once I get everything sorted out, but for now, I’m SO excited to get familiar with Africa! Also can’t contain my excitement because today is Yardfest! There’s been some controversy over Yardfest this year, but the other bloggers and I will be sure to let you know how the event goes! Really thank you for the article, it’s awesome. So, may I put that article in my website? Hey Jeanie, it was great reading your blog! I really hope you enjoy your experience in Tanzania! I am also interested in similar ventures to East Africa and the entire continent. Thanks so much Yusuph! I cannot wait for my summer experience – it’ll be my first time on that continent!! Harvard has a ton of programs all over Africa, whether it’s study abroad, internships, or more! My roommate will even be there this summer! Hi Jeanie, I’m Heather, and I’m working on a report on Harvard College for a school project. I’m wondering if there is anything I should use in my report to help show a more personal side of Harvard (i. e. your personally feelings about Harvard, what your major is and why you choose, extra curricular you participate in at Harvard, etc.). Thank you so much for your time!